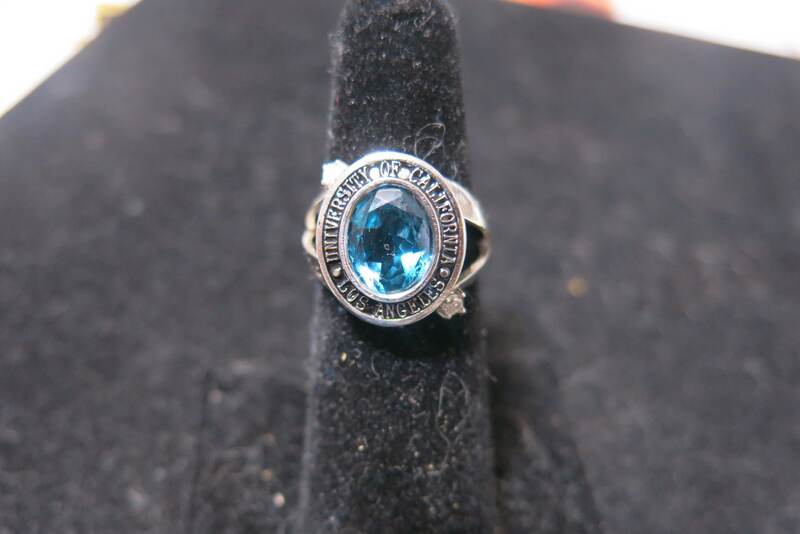 This is one of our custom class rings that held an 8x10mm center stone and was accented with 2, 2mm stones. The client wanted something more elegant than traditional class rings, so I split the shank. I could make it with larger stones as well as this was for a female. CENTER STONE: Optional, but a wide range of stones in various colors, sizes, and shapes are available. ACCENTS: 1.3mm-2mm. These can be a wide variety of stone types, colors, and shapes. 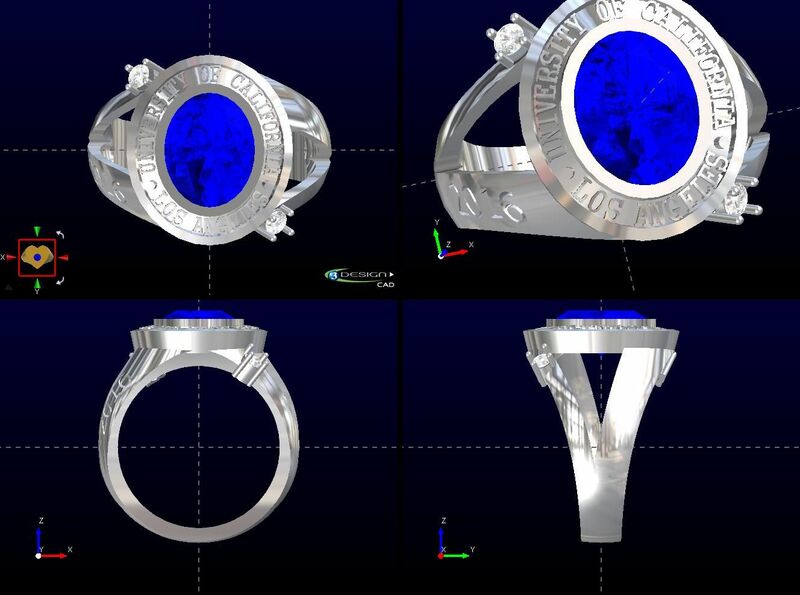 The starting price is for one of our class rings in Sterling Silver with an 8x10mm CZ.